I do love a good story, don’t you? My weekly fifth fave, a quote, speaks to that today. 2. Poetry. One of my loves, it is. I love to read it and dabble in it. Sunday’s sermon was about the Garden of Eden, and I came home and penned a little verse of my own: A Garden, a Fall, and a Taste of Redemption. 3. Blessings from the past. A year ago, when our son was so badly injured, we rushed to Kentucky. We had been there only one day when I got a call in the hospital room from the parent of a former student – from a number of years ago. They live in Lexington, the city Andrew was hospitalized in, and they heard about his accident and wanted to help. They offered a place to stay, they lent us a car for weeks…they were incredible. They have a physical therapy facility, and now they’re helping Andrew. Such an unexpected blessing. I’m so thankful for people like that. ME: Who are you talking to, Aiden? AIDEN: I talk to Grandmom. Yeah, that’s me. Precious boy. I do love a good story. Story speaks to us like nothing else, I think. It touches something deep inside that mere facts and talk and conversation get nowhere near. And then there’s the one true tale…my favorite. Yay for your grandbaby and yay for helping hands when you're far from home. That WAS a blessing in a difficult time. Enjoy this weekend!!!! Oh I have done the book thing so many times...can't say which book. Weekends, YES. Even today feels like a weekend day, because my husband is home from work and we slept in. Since I started schooling our boys, I love Friday nights and Saturdays! I can stay up later on Friday nights and sleep later on Saturdays. It's so nice! I love poetry! A favorite writer used to be Robert Frost. My boys love to talk to my Mom on the phone, it's sweet! Have a great weekend! I love a good story as well. And I love hearing other people's stories. And I love hearing how helpful other's are in our lives (#3). God's blessings . . .
That is such a great blessing from the past. Thanks for sharing that. So cool that they saw a need and helped out. Enjoy your weekend!! What a blessing that family was! May we all be like that when we hear of someone facing a crisis! 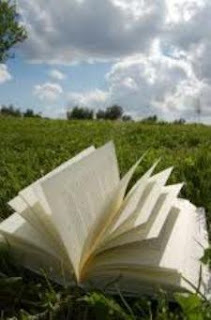 I am very much looking for to the weekend where I hope to be reading a good story for the better part of it! What a blessing your friends were when you needed them! Isn't that just like God to orchestrate the events. What a blessing for your son. May we all be open to blessing those the Lord puts on our heart! It's always so nice when you find people who are so helpful and kind when you are in troubles ! Boy, did you describe me to a T on the first fave -- something about being able to let go if only for a few hours. Yes, what a blessing to have people care for you (and Andrew!) like this KY couple. What a blessing that that family you knew was nearby and so willing to be so helpful! The conversation about Aiden is so sweet. You know he is thinking about you! I love a good story, too. Somehow it's truths stay with me more than with a "Just the facts. Ma'am" approach. What a blessing to have such a generous family in KY to help you in your time of need!